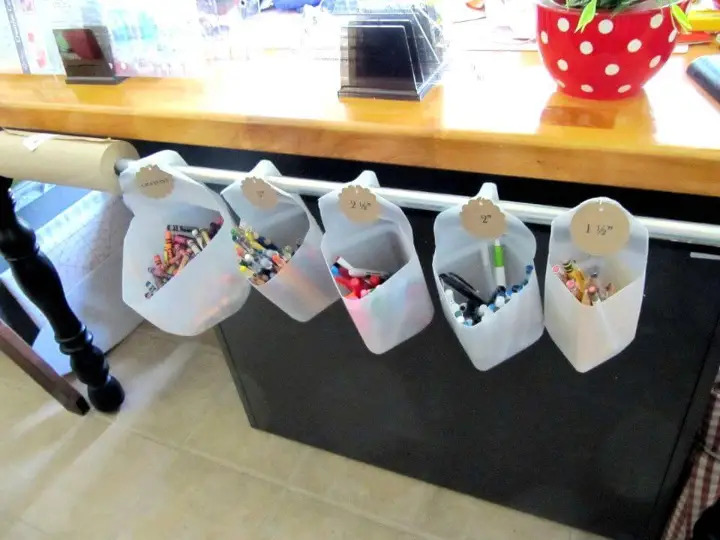 If you are having a crafting loving mind then you can get crafty with different materials of home that retire from your home on daily or weekly bases! 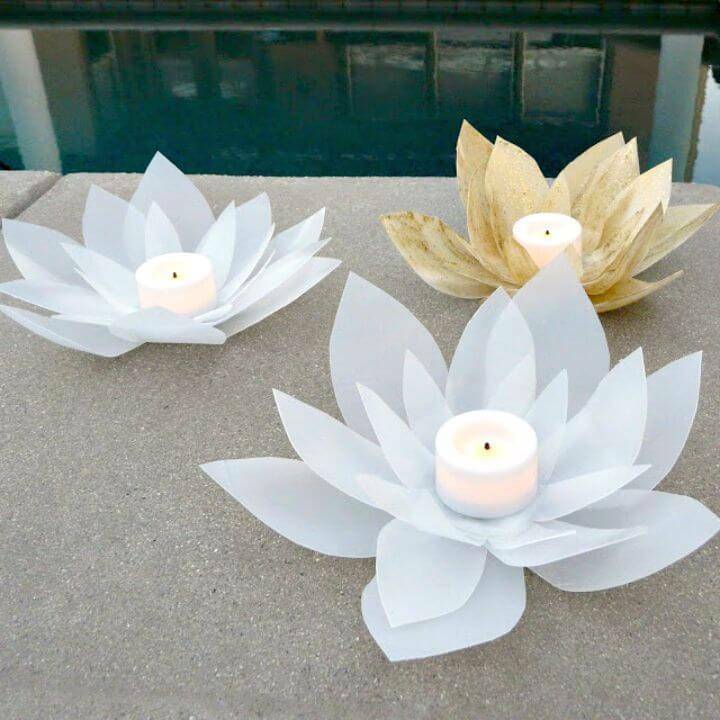 There are tons of materials in a home that you can reuse, recycle and upcycle to make new functional objects and décor crafts that you need in your home! 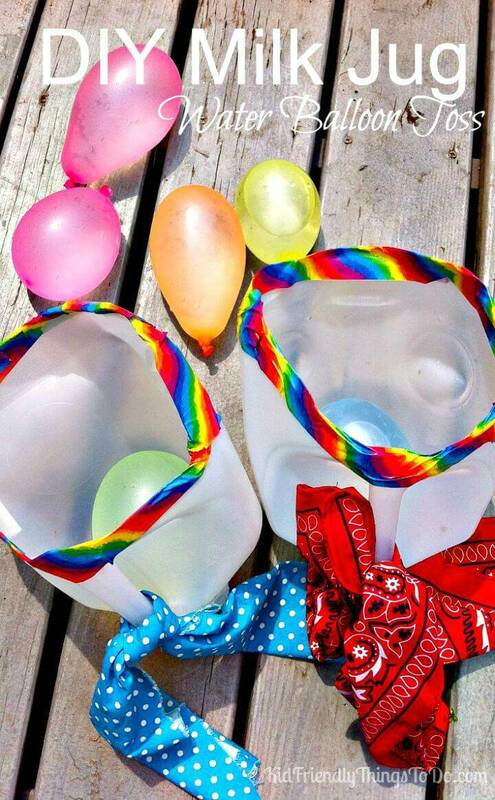 If you need some suggestions about the things to get crafty with next, they the plastic milk jugs would make a great choice! We all consume milk on daily bases and sometimes we consume a lot, so you get a handsome amount of milk jugs from home on regular bases to do amazing crafting projects! 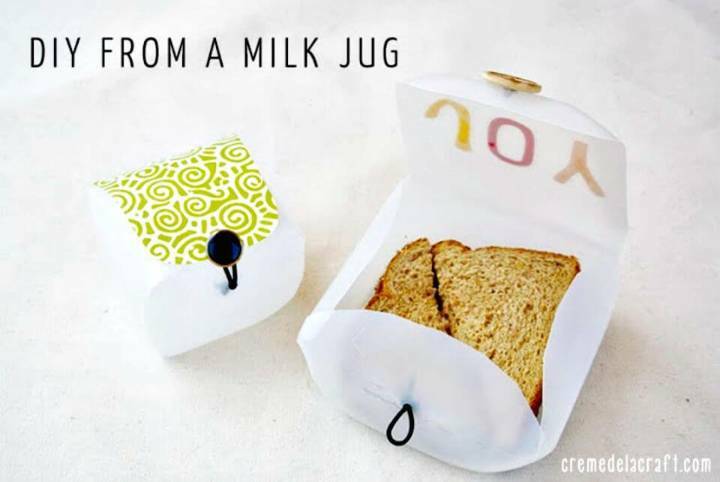 Before you go smartly handmade with the milk jugs, we would like to give you some amazing tricks to do so! 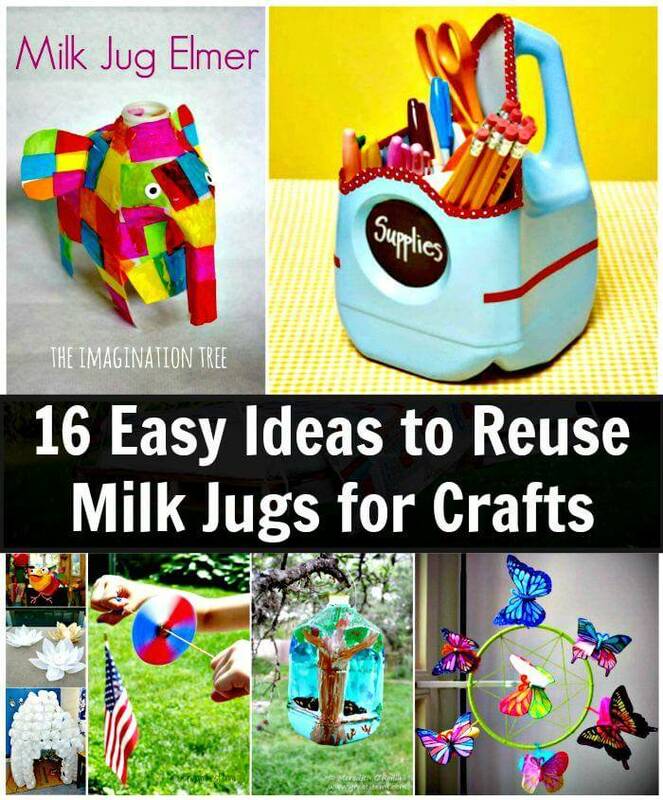 Just Check out these 16 smartly ideas to reuse & DIY Milk Jugs for Crafts that will make great inspirations! 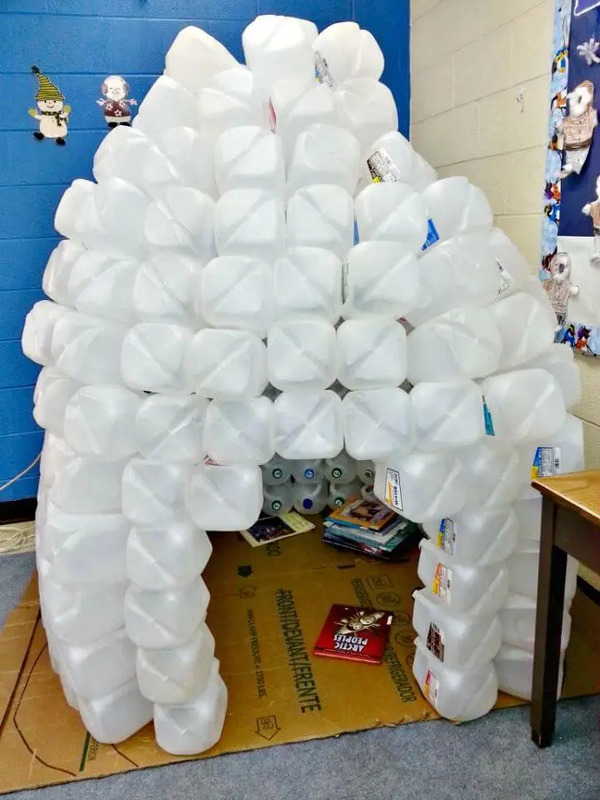 These recycled milk jug ideas are too innovative and genius that you will think twice before throwing the milk jugs to dumpsters or landfills! 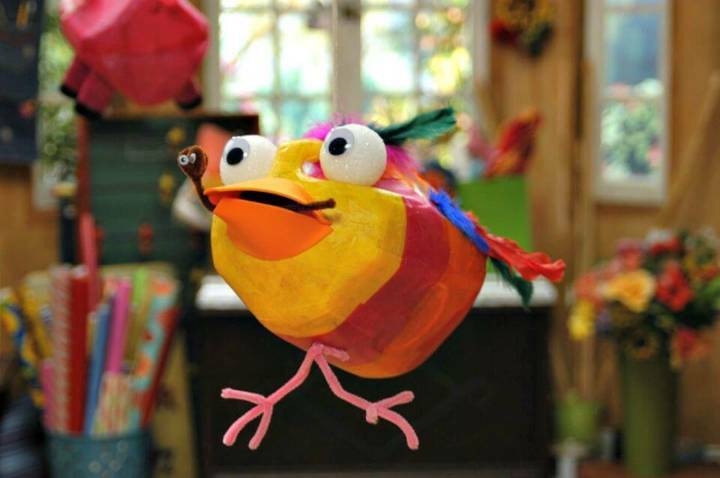 Just cut and modify the milk jugs and also paint them in custom ways to make great looking bird style piñatas for kids birthdays and parties, just put a glance at the given sample that is looking damn cute with the googly eyes! 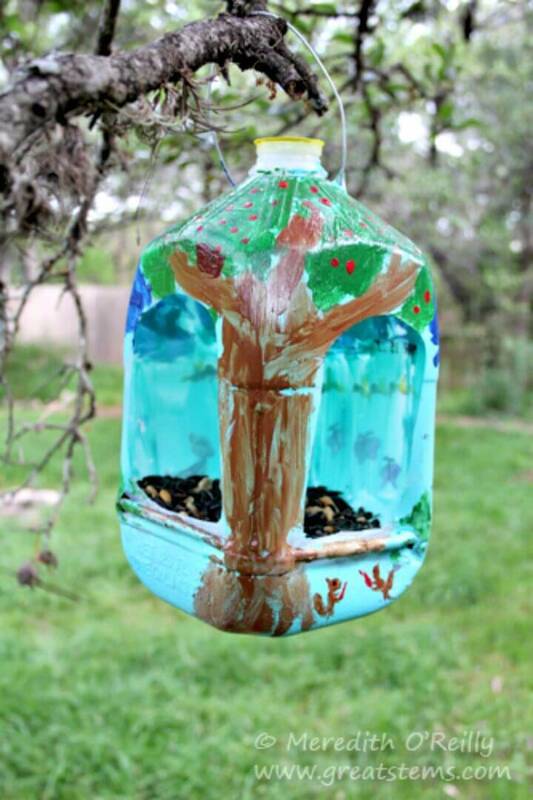 Cut out some parts out from the sides of a milk jug and fill bird seeds and make beautiful garden bird feeders out of them, boost the summer fun by making water balloon launders out of milk jugs and cut smartly the milk jugs to make great looking lunch boxes out of them! 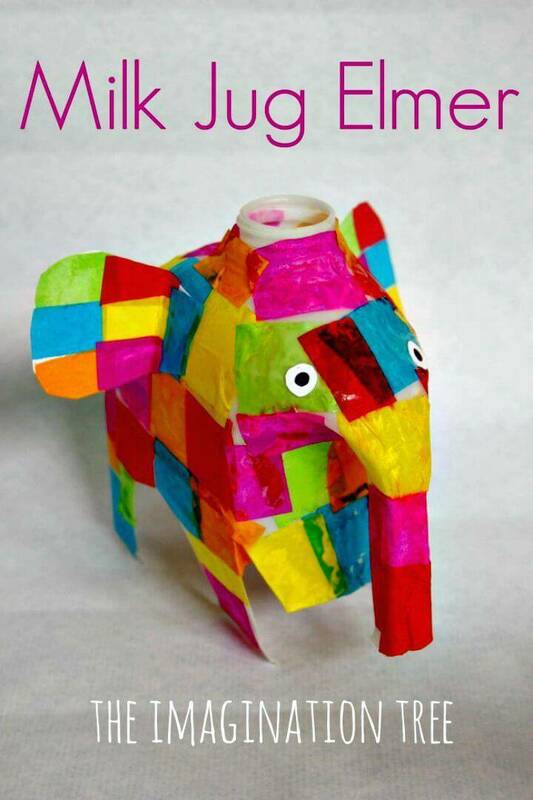 You can trace different shapes and art on the sides of the plastic jug and then can cut them out to use in your own way! 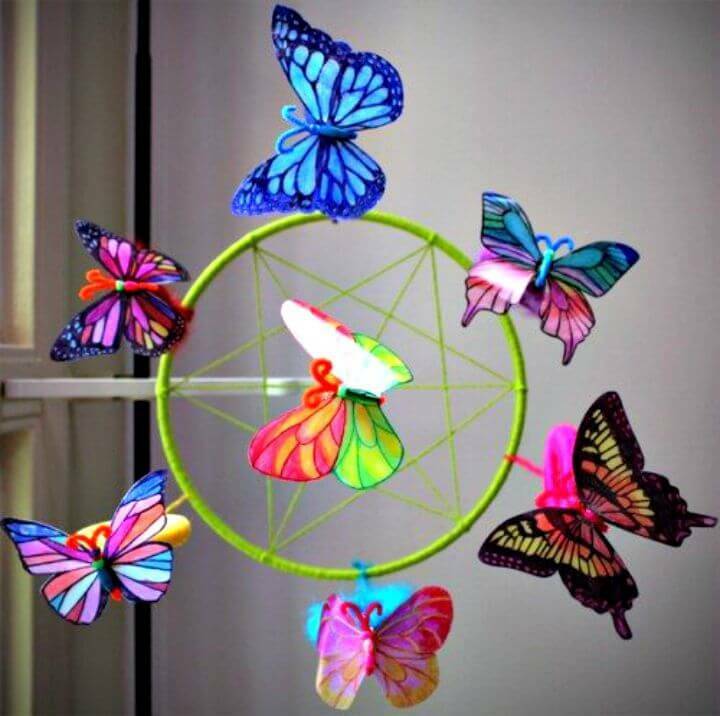 A very interesting sample is the given colorful butterflies that can be used in numerous different ways to boost your indoor and outdoor decors! 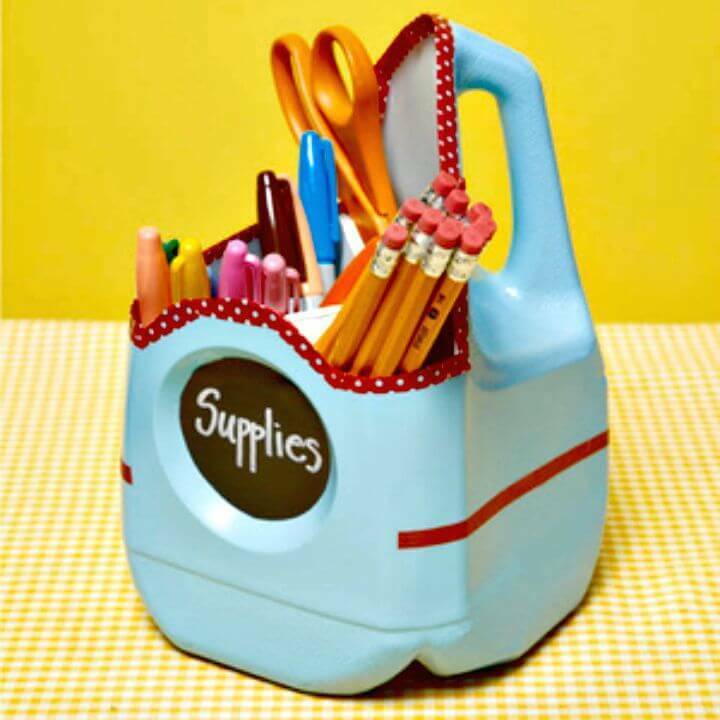 Make also interesting kids toys out of the milk jug like the given Elmer elephant and also cut the milk jugs to have only containers out of them that may come with the milk jug handle to make beautiful organizers, just check out the given pencil organizer! 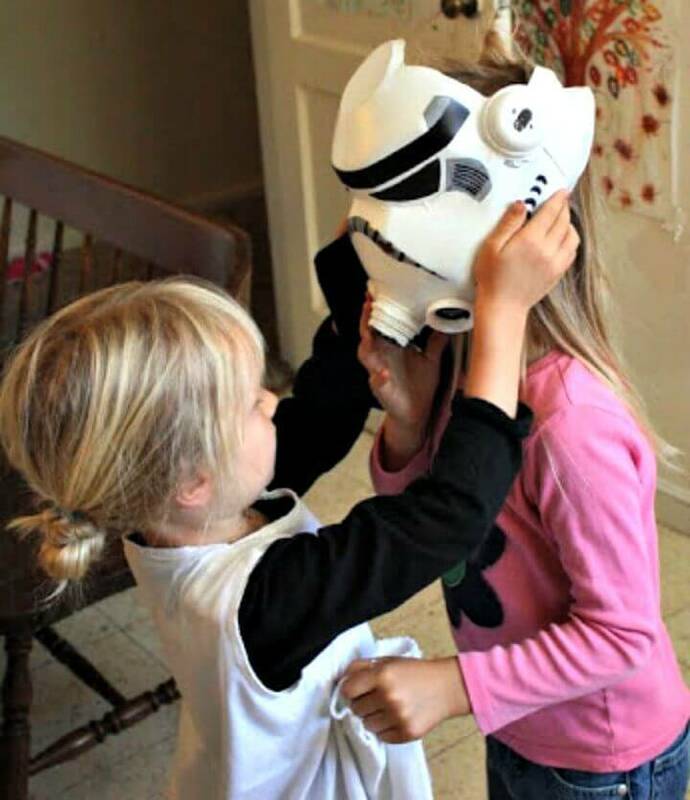 Go smartly handmade with the milk jugs and make the stormtrooper helmets for them that will create a big fun for them and also spruce up your coffee or dining tables with the recycled milk jug votives or candle holder, just have a look at the given samples to feel inspired! 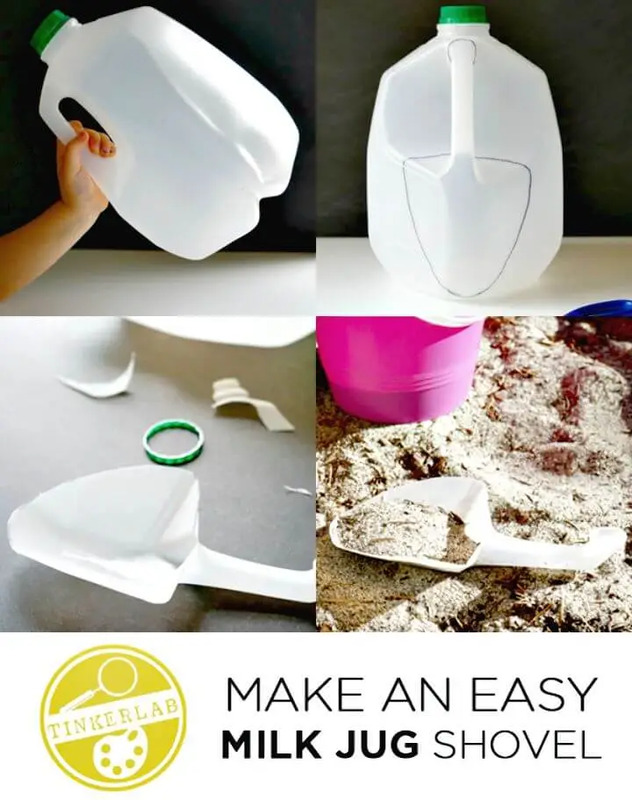 Make also interesting tools and types of equipment out of the milk jug, get inspired by the given milk jug garden shovel and cut also smartly some parts from the jug to make lovely toy scoops! 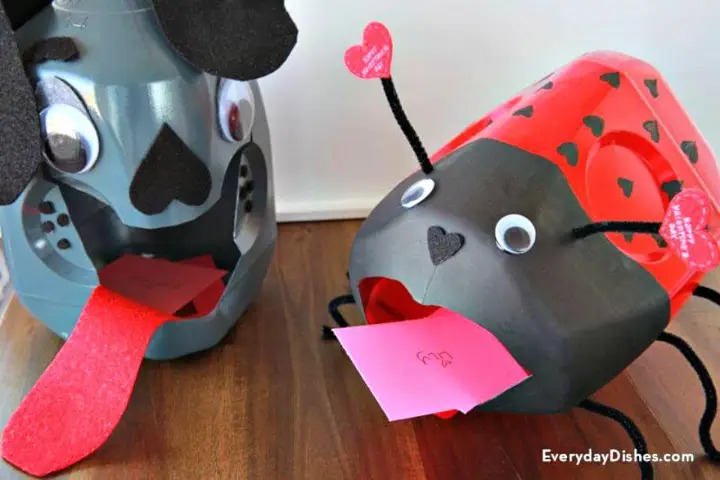 Paint your milk jugs and add with felt ears and nose and also finish them with googly eyes and pipe cleaner legs to make interesting animal and insect-inspired card boxes that will rock for the Valentines day! 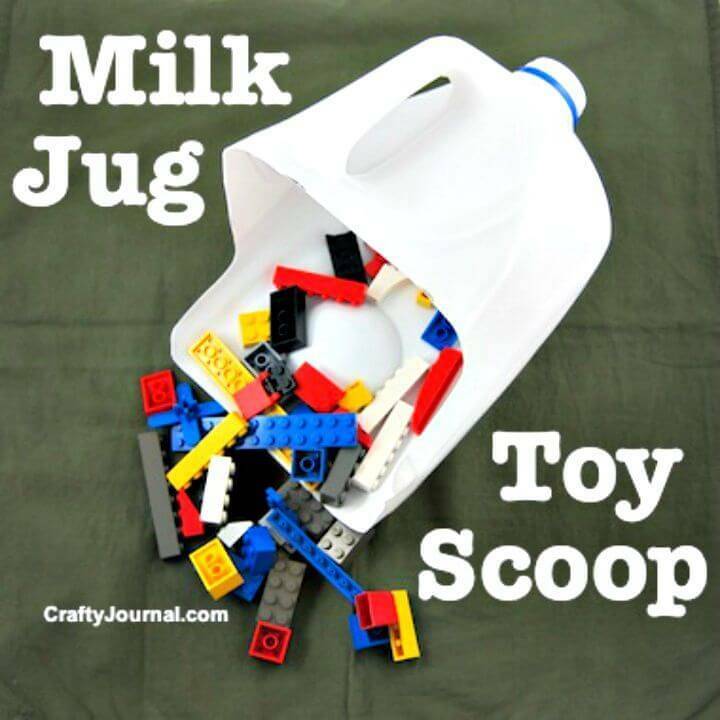 There are endless different ways to get crafty with the old milk jugs and check out more milk jug crafts given below! 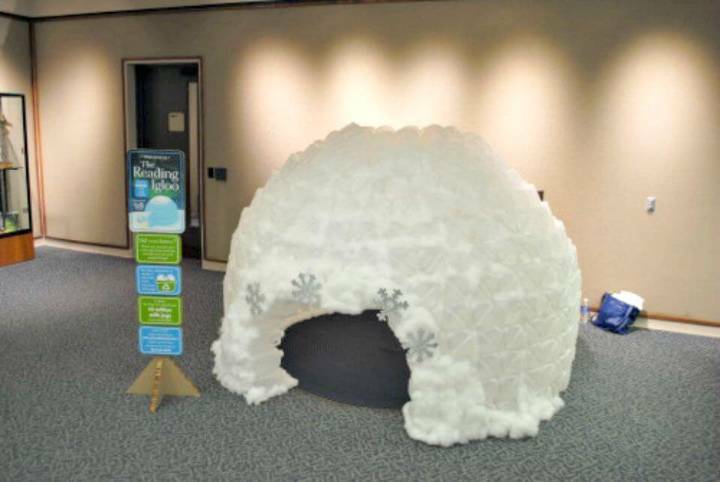 Browse the attached source links for step-by-step tutorials, instructions, and visual guides!